For all types of skin irritation, oozing or not, or following a dermatological procedure, quick, quality skin repair is key. 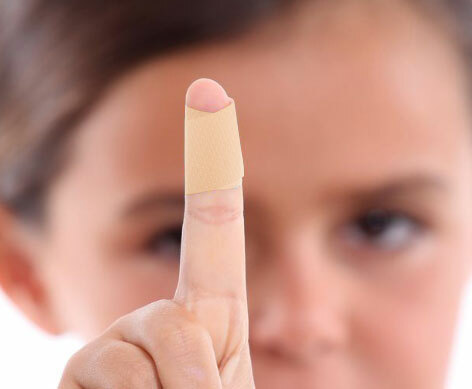 What does wound healing mean ? Wound healing is one of the most amazing functions of human tissue. The deep healing phase: Dermal tissues regenerate by forming thick growths, rich in capillaries and cells. This causes inflammation. If it is too severe, it will require medical attention. The superficial phase during which the epidermis closes starting from the edges of the wound. For this process to take place, the wound cannot be too wide or deep so that it can close by itself and there is no infection. If the wound was deep, its closure will result from the repair of the epidermis but it doesn’t exactly look like normal skin: there is a scar. This scar will improve through a remodeling phase. The condition of a scar cannot be assessed for several months, not immediately. - But there are difficult wound healing situations…. In certain rare cases, there can be abnormal scar formation. -Poor circulation can also lead to ulcers in the legs and wounds that are difficult to heal. -Last, some people tend to have raised scars that look like smooth nodules and do not improve by themselves. These are called “keloidal” scars also known as “scarring excessive”.